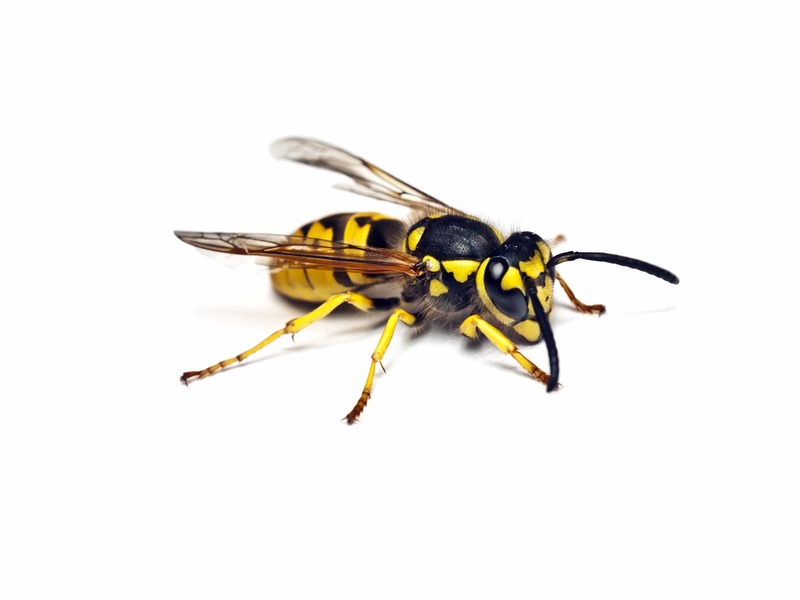 Our wasp venom extract is a mix of Vespula vulgaris and Vespula germanica. Vespula vulgaris and Vespula germanica both belong to the Vespidae family and the Hymenoptera order. 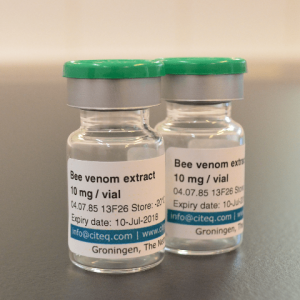 Hymenoptera venom is known to give a systemic allergic symptoms in 0.8-5.0% of the population. Vespula vulgaris and Vespula germanica are both palearctic species, this means that they are most common in Europe and northern parts of Asia. 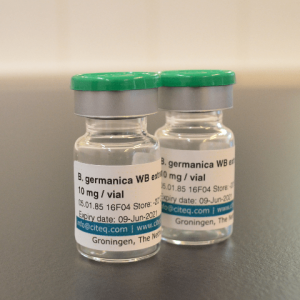 The allergens of both wasp species exists out of a complex mixture of peptides, simple organic molecules, proteins and other bio-active elements. Wasp venoms have three major allergens (Ves v 1, 2 & 5). 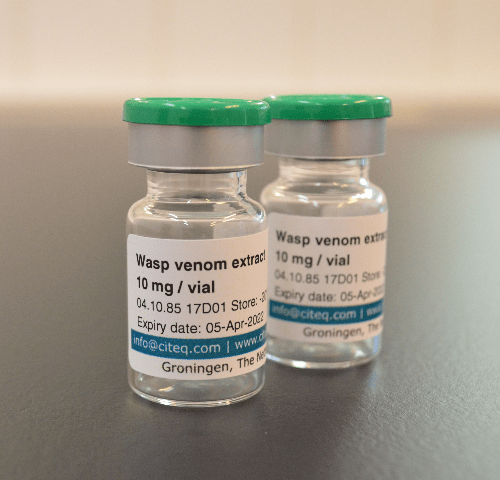 Extract (vial of 25mg) Dried wasp venom extracted from the venom sacks, mix of Vespula vulgaris and Vespula germanica. Other sizes available upon request. Our extract is for research purposes only. 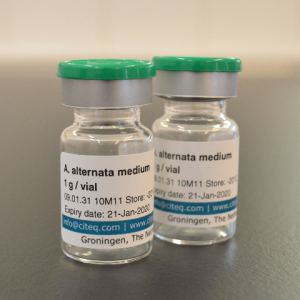 Defined allergen source material, we deliver our material with extensive information about the amount of allergens in our material. The venom will be delivered with a certificate of analysis with all of the allergen information.